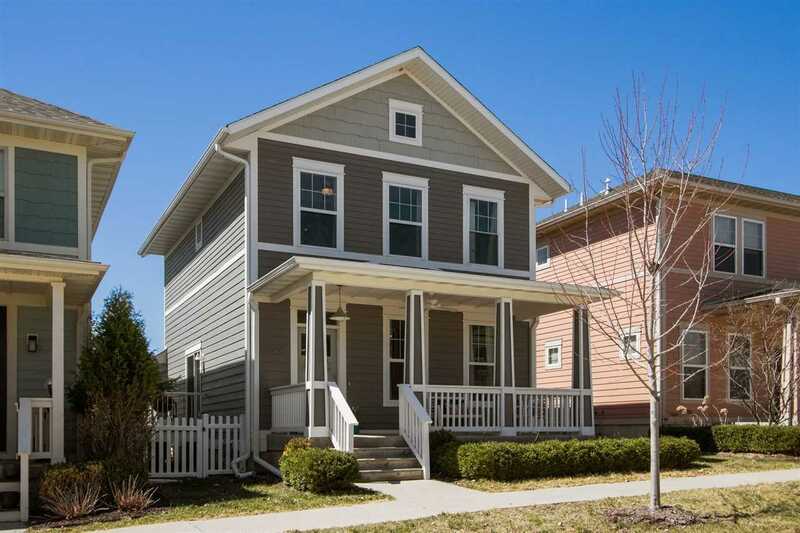 Gorgeous craftsman-style home w/3 bedrooms, 2 baths located in the desired Peninsula Neighborhood. Beautiful, large, covered front porch. Spacious open floor plan with fireplace & tons of light. Kitchen w/granite counters, island, Laminate floors, stainless steel appliances. HW look laminate floors continue throughout main level. All bedrooms and laundry conveniently located upstairs. Unfinished LL gives you room to expand in the future! Seller is offering 1 year HSA warranty. Call today.